Sydney, one of the most multicultural cities in the world is a modern city with a highly skilled workforce drawn literally from every part of the globe - 180 nations, speaking more than 140 languages. Australia has stable politics, with a strong competitive economy with vast agricultural and natural resources, inluding relatively cheap energy. ‘Life-long’ training opportunities and education are encouraged. Companies can benefit in certain countries from the free trade agreements Australia has signed. Australia has made free trade agreements (FTA) with the United States, Thailand and Singapore as well as supporting closer ties with New Zealand. There are new trade and investment agreements in place with Indonesia. More are being negotiated. Countries in active negotiation with Australia include China, Japan, Malaysia, Mexico, United Arab Emirates and ASEAN (Association of South East Asian Nations). ASX The Australian Stock Exchange. Australian Dollar exchange rates. Australia and other currency conversion rates. The Australian Financial Review. Investment News. Australian White Pages brought to you by Telstra. Australian Yellow Pages brought to you by Sensis. Also mailing addresses. The Australian Broadcasting Corporation - A quality source for Australian News, including Sydney Business Information and News and all things Australiana. Australian Government’s Web Entry Point. Investing in Australia - ATO overview. Doing business in Australia - overview. National Occupational Health and Safety Commission. Australian Bureau of Statistics Australia’s official statistical organisation. NSW Government State government of New South Wales. Austrade Export Business - Australian Companies that want to Export. The Australasian Legal Information Institute. Australian Laws. Sydney Jobs - Changes in government policy has made it easier to get work visas. Finding Work in Australia - About visa requirements, jobs and work in Australia. Australian Currency AUD Currency Exchange Rates. 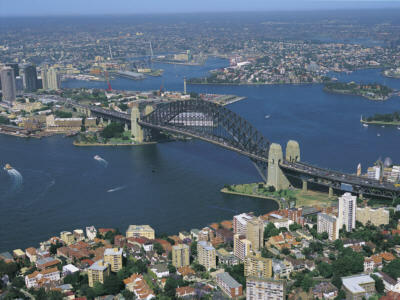 For Sydney Australia history see Sydney History. 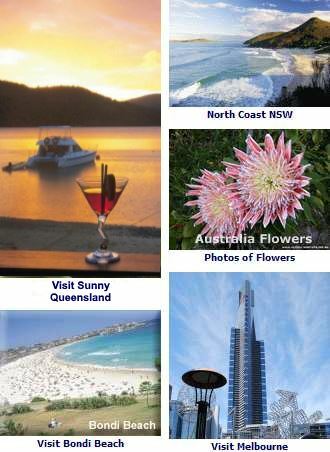 For City hotels, motels and other accommodation see Sydney Accommodation. Interested in trying a working holiday in Sydney or elsewhere in Australia? See more about Sydney Work - Jobs.